Please join us at 2pm on Saturday, April 20th. 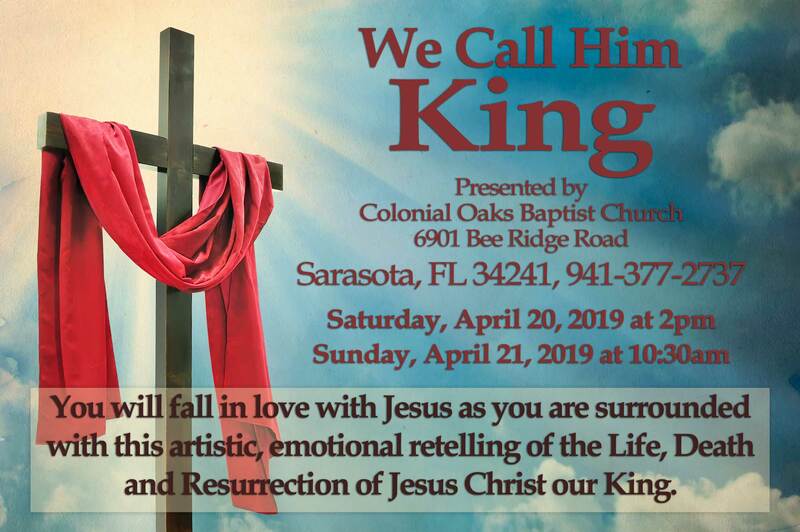 You will fall in love with Jesus as you are surrounded with this artistic, emotional retelling of the Life, Death and Resurrection of Jesus Christ our King. Please join us at 10:30am on Sunday, April 21th.